Posted March 23rd, 2016 by Lillian Price & filed under Dental Care. Posted March 17th, 2016 by Lillian Price & filed under Dental Treatment. Dental veneers are extremely thin pieces of porcelain that are placed on the visible surface of teeth. 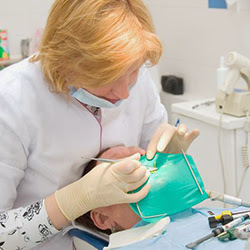 It is often the choice of those patients who wish to make slight changes in the size, shape or color of their teeth while maintaining the strength of their natural teeth. Posted March 14th, 2016 by Lillian Price & filed under Dentist. Posted March 9th, 2016 by Lillian Price & filed under Dentist. Posted March 2nd, 2016 by Lillian Price & filed under Dental Implants.